I talk about the value of using ChiForLiving exercises to anyone who will listen. 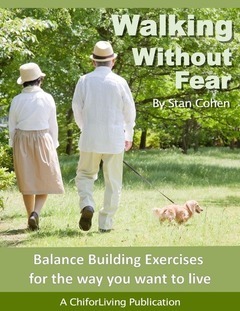 It is better to hear what the seniors who use the exercises say how it has helped them. Take a few minutes to listen to the following and see if you get inspired to start working on improving your own balance. Marty – A student at the Senior Resource Center in Chester, NJ.